The journey by which I reached my current view of hell began sometime in the mid-1990s when I first heard about annihilationism at a seminar during a L’Abri conference at my church in Long Beach, California. The speaker was from Covenant Seminary, if I recall correctly, and was attacking this view of hell as a serious error in Christian doctrine. My initial response, to reject annihilationism, was based on the speaker’s understanding that this position held that the unsaved would be destroyed body and soul immediately following their physical death. I thought such a view ignored huge portions of Scripture and it therefore seemed ludicrous for a Bible-believing Christian to affirm it! So I was shocked to find out that some well-known evangelicals such as John Stott have embraced this view! Along with my scriptural concerns I also found that I had a philosophical objection, that since humans were created in the image of God he would not—and perhaps could not—destroy something that contained any reflection of his own attributes, one of which I believed then was certainly an immortal soul. I do not remember experiencing any repugnance to the view of eternal conscious punishment; it seemed to me a completely just response on God’s part toward people’s rejection of his offer of forgiveness and their insistence on bearing the penalty of sin themselves. There was no psychological disdain of eternal hellfire in my mind, nor any allure to embrace what I thought at the time was a heretical position. 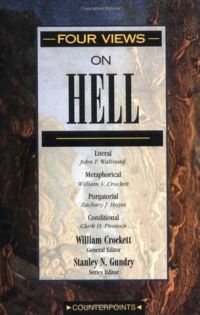 I didn’t think about annihilationism again until a few years later when I purchased the Zondervan volume Four Views of Hell, edited by William Crockett. I was not actually that interested in exploring the topic of hell, since the issue seemed resolved in my own mind. I had simply become a collector of multiple views books on various theological topics and this was the newest one in the set. (Collectors know this impulse toward completism.) I grew up in a church culture which thought that it had all of its doctrinal ducks in a row, so when my understanding of the diversity of Christian belief began to expand I found these multiple views books quite helpful in opening my mind to other theological perspectives, sort of a rejection of the provincial fundamentalism of my youth. As I opened up this collection about hell I did not read the sections on literal and metaphorical views of hell because I knew that one of the two was what I already believed (or somewhere between the two views). And I immediately rolled my eyes at the chapter on the purgatorial view; although I was willing to consider various Christian views, I wasn’t willing to embrace something that my Protestant forefathers had rightfully chucked into the doctrinal waste basket so long before. This left the chapter on the “conditional” view written by one Clark Pinnock, whom I had never heard of. Thinking that I ought to get some value out of this book purchase I settled in to read this chapter, not realizing that my eyes were moving over words that would begin the shift in my view of final judgment, a shift that would have such a significant impact on my life. The scriptural evidence pointing toward the destruction of the unsaved in hell, such as Jesus’ words in Matthew 10:28, “Do not be afraid of those who kill the body but cannot kill the soul. Rather, be afraid of the One who can destroy both soul and body in hell.” I don’t think I had ever stopped to consider what those words might have actually meant before. Pinnock’s citation of several Old and New Testament texts had me flipping through the pages of my Bible with a bit of a puzzled look on my face: What was all this language of destruction, perishing, second death, and the wicked becoming no more? The idea of what Pinnock called “cosmological dualism,” that heaven and hell “coexist forever” and that there would eternally be “a segment of unrenewed being” in the universe. At my church we had recently explored the idea of God’s shalom, which would be most fully revealed in the final restoration at the end of the age when he would make all things new. I wondered if a universe with an eternal hell in it would truly be better than the first creation where there was no hell. Wouldn’t evil need to be eradicated from existence for complete shalom to exist in God’s eternal and universal kingdom? The sense that the punishment wouldn’t fit the crime. For instance, a seven-year-old Hindu child who dies without accepting the work of Christ on her behalf ends up suffering eternally in hell, the same amount of time as Adolph Hitler, Idi Amin, and Yoko Ono? (One cannot be sure about that last one, but for breaking up the Beatles? Probably.) Some punishment, certainly, but eternity? This was surely out of proportion. Unlike my first experience hearing about annihilationism—as a straw man that was torn to pieces before my eyes—there was substance and vitality to these arguments which began to plant some seeds of doubt in my mind about the traditional view. So I began a quest to read more on the topic, and that led to a collection of over 50 books and hundreds of articles on the topic of hell. (I intend to list my top ten books or articles on conditionalism in a forthcoming post.) It took about five years before I considered myself firmly convinced that the traditional view was wrong, at which time I made a spreadsheet of every verse I could find in Scripture dealing with judgment, hell, punishment and so forth and I sent it to a number of traditionalist friends, asking them to explore the topic with me. Not one of them took up the assignment so I did my verse-by-verse exploration alone, resulting in an ever-deepening confidence that the testimony of Scripture actually did support this view—and quite clearly, it seemed to me. As I continued to study the topic I found that I was not alone in this view, that many Christian scholars, philosophers, and pastors have held this view over the centuries. “Annihilationism” seems to be increasingly accepted as a view of hell within evangelicalism. Is this a biblical position? A pastor of one church I had served as an elder decried those who “called themselves Christians” but rejected eternal hell and who held to annihilation. A fellow elder said to me that he would’ve laughed in my face if I had told him that someday he would be serving on a board with an annihilationist. I clearly began to recognize that if I were to hold this view then there would be a cost, whether professional or social—perhaps even deemed by some as being outside the faith. I could no longer sign the statement of faith at a school I loved, and I would have a hard time fitting in at most other conservative evangelical institutions as well. 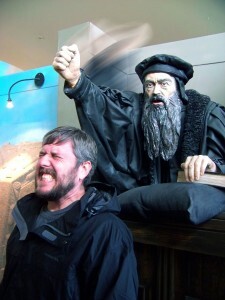 These were dark days for me as I considered whether it would be worth it or not, to be considered heterodox or heretical or even unsaved by those communities I held in such high esteem. I had a family with young children who needed my support. Did it really matter what I believed about hell, given the impact that this would have on my ability to work in the Christian communities I valued so dearly? Yet I could not abandon my conviction that conditionalism was the best answer from Scripture regarding the fate of the unsaved. There was a deeply satisfying explanatory power to this doctrine that, once I had embraced it, I could not bring myself to repudiate! It simply made sense. I do not find myself in the position of zealously debating traditionalists and telling them their view makes no sense. I often wonder whether I understand the traditional view better than most Christians who hold to it! In fact, usually when I have theological conversations about hell and someone suspiciously denounces my view, when I try to reply to their objections they typically end by saying, “Well, I’ve never really studied the topic myself.” I think more Christians ought to study the view of judgment they profess to believe, if only to better understand and articulate what they believe and why. I’ve spent over 15 years of my life doing this myself! So while I do not desire to be combative towards others, I also cannot help but want to share some of my own convictions with both Christians and non-Christians alike when the topic of hell arises. When the Love Wins (Rob Bell) controversy erupted I found that friends would regularly direct others to me to hear about my “third way” of understanding hell, along with traditionalism and universalism. The church wherein I currently serve allows for diversity on various Christian views and all of my fellow elders know and tolerate my position on hell, even if they disagree with my conviction. This has been a blessing and gift from God that has brought healing to those deep places of loneliness and distrust in my heart that I experienced in earlier times. I celebrate with great joy the open-mindedness of my brothers and sisters and have done my best to avoid bringing controversy or divisiveness into our congregation. However, I am now able to confidently share my convictions in dialogue when the topic comes up. Like all orthodox Christians I believe in hell, but I don’t believe that hell is a place. I think that it is actually a period of time. Following the resurrection of all humanity on the face of the earth, they will face judgment by God as they stand before him. After that judgment hell will ensue. All humanity will still be here on earth, but those who have not been saved by the work of Christ will experience hell. They will not be sent off to some other place in the universe with fiery caves and tormenting devils; they will experience the consuming eternal fire here on the earth, as the apostle Peter foresaw when he said that “the present heavens and earth are reserved for fire, being kept for the day of judgment and destruction of the ungodly” (2 Peter 3:7). But hell will not last forever. Having accomplished its purpose, hell will end. I appreciate the fact that the word ‘end’ has the dual meaning of both conclusion and purpose. Hell will not only come to its conclusion but also serve its particular purpose. In both senses the end of hell is justice; when justice has been completed, hell will no longer serve any purpose; it will thus end, and that will be the end of hell. Hell, to my mind, is finite: it does not last forever. And hell is equitable: it is an outcome exacted appropriately upon those who deserve such a penalty and is not a one-size-fits-all approach. Finally, hell is just: it is God’s appropriate justice exacted upon those who have rejected the only Lord and Savior, a complete and final vengeance upon all wrongdoing and evil, until everything opposed to God’s perfect shalom is finally eradicated from existence. So contrary to my former view of eternal conscious punishment, I now believe in finite, equitable justice in which there is an end to hell. 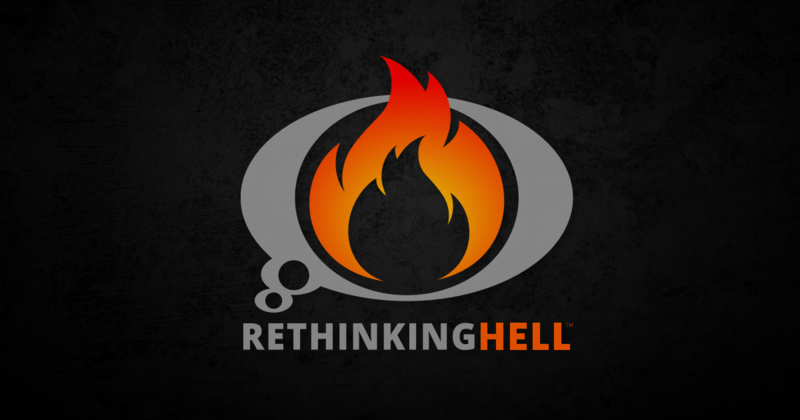 I am grateful for this opportunity to share my view with all of you as part of the Rethinking Hell project. There are various nuances to each contributors’ understanding of hell on our website here, and some may even disagree with aspects of the vision I have outlined above. But we are all in agreement that this is a conversation that should be taking place among sincere followers of God who take his word seriously and are convinced of the need to reconsider, to reform, and indeed to rethink the traditional understanding of hell. Greg Stump is a pastor at a Baptist church in Southern California and graduated with an MA in Theology from Fuller Theological Seminary. Greg also studied at Talbot School of Theology and worked at Biola University on staff for seven years. Greg is the co-editor of Rethinking Hell: Readings in Evangelical Conditionalism (Cascade, 2014) and a contributor to A Consuming Passion (Pickwick, 2015). Greg has been the conference lead for the 2014 & 2015 Rethinking Hell conferences and he is also a steward of the Rethinking Hell project.